Only from Crystalize ! This Crystal Lincoln Engraved Whiskey Decanter makes a perfect barware gift for any special occasion or groomsmen, birthday, Father's Day and retirement. This engraved decanter is one of our best selling item ! 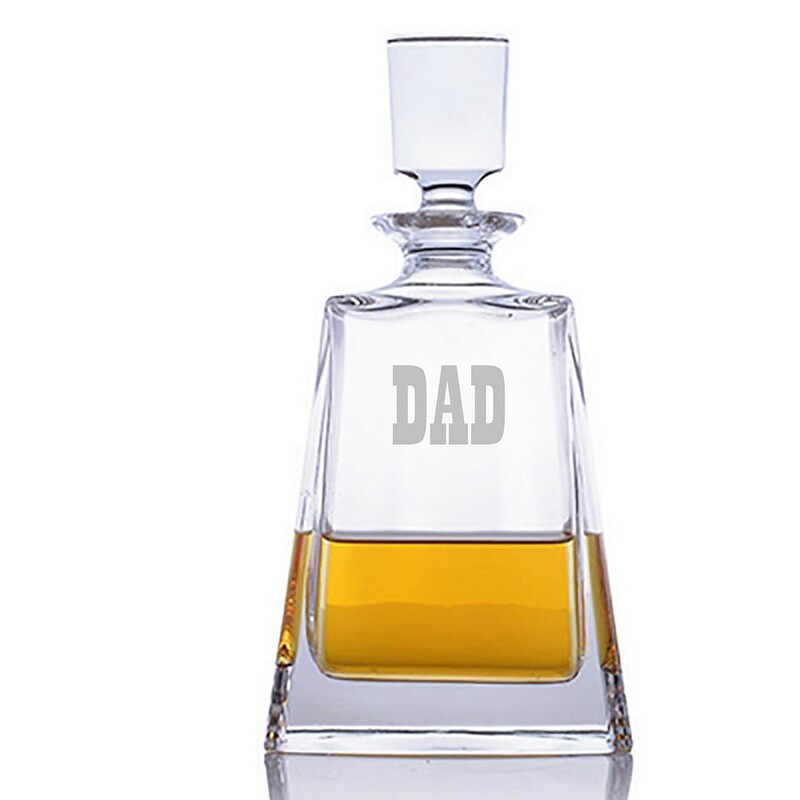 Personalize the liquor decanter for you, or as a gift! 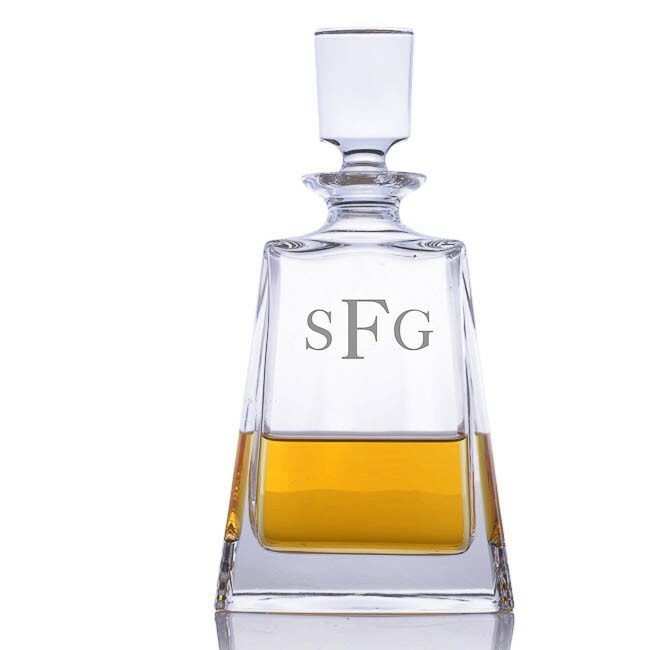 This decanter is the perfect presentation for a company logo or award ! The basic features of this beautiful lead crystal decanter are: brilliancy, glitter, high index of refraction, high quality of product processing and technology. Stylish decanter with a contemporary, minimalist accent.The sides of the decanter have a slight inward shape consistent with many classic European styles. Decanter size: 5.5" W x 3" D x 10 "H. Capacity: 24 oz. This is a heavy (over 4 pounds) decanter. This customized decanter looks great by itself or combine it with our matching crystal glasses to make an impressive Crystal Lincoln Decanter Set .